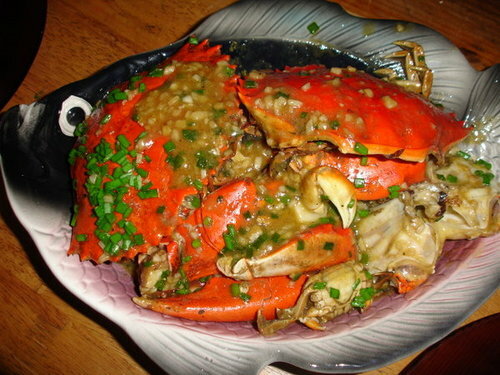 Steam the crabs, remove from heat if its half-cooked already. Slightly fry the garlic in butter, add everything according to taste. Add crabs until its cooked. Serve with hot rice- yummy!